Oceans provide a safe place for life to evolve. The search for intelligent life on planets aside from our own has been long. 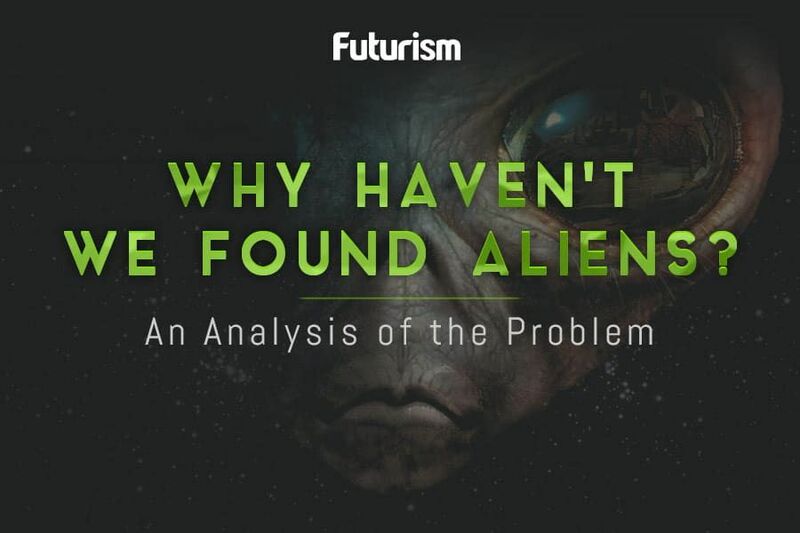 In the decades since the search began, several theories have been proposed to explain our lack of answers, with one of the most well-known being the Fermi Paradox. Named after Italian physicist Enrico Fermi, it questions why humanity has yet to find or meet alien life when the odds suggest that our universe should contain other species capable of interstellar travel. Many have come forward with answers to this question, with some suggesting we’re looking in the wrong places. Others believe aliens are simply hibernating; the more existentially troubling idea is that we’re the only technologically advanced civilization left. Alan Stern, planetary scientist and principal investigator of NASA’s New Horizons mission, has another theory to add to all this, which he shared at the recent 49th annual meeting of the American Astronomical Society’s Division for Planetary Sciences. As Space.com reports, Stern floated the idea that perhaps intelligent life does exist in other parts of the galaxy, but they live in dark oceans found deep beneath the surfaces of whatever planet they live on. Such oceans should exist in our galaxy, as they do in our own solar system — look no further than oceans deep below the surface of Pluto, on Jupiter’s moons Enceladus and Europa, or Saturn’s moon Titan for evidence of that. Buried oceans would also give life more time to evolve, as it would protect them from things that typically only affect the surface. “Impacts and solar flares, and nearby supernovae, and what orbit you’re in, and whether you have a magnetosphere, and whether there’s a poisonous atmosphere — none of those things matter,” Stern explained to Space.com. Continuing to build on his theory, Stern proposed that alien life living in buried oceans may also be unaware of the existence of a surface world. If they knew nothing of that, then they’d certainly know much less about the larger galaxy. Unfortunately, even if they were trying to communicate, it’d be unlikely we’d be able to see it on any spectrum. Very-low-frequency radio may work, but even then chances would be incredibly slim. There’s also the matter of living in an ocean environment. In order to travel across the stars, their life support systems would require a significant amount of water. Large amounts of water can become incredibly heavy; more fuel would be required to provide the thrust needed to make it out of their home’s orbit. Humanity will continue to search for intelligent alien life, as it would easily become the biggest discovery in our history. We can’t predict when we’ll make contact, but we have plans in place when the time comes.